For you to avail yourself with the right set of portable headphones, you need to have a full understanding about the types and features that are available on the market. Headphones which you use for your mp3 players, home theaters and video games come with a variety of different styles wherein it can affect their overall functionality. Its fit and design can have a huge effect on the appearance, mobility and comfort. To help you out, this article will serve as a guide for you to choose the best portable headphones especially for its individual purposes. Through this, you will be able to make the purchase quickly and do it with confidence since you now have an understanding of the basic specifications. This measures the voltage and current that is needed to power up a pair of headphones. If the impedance is higher, it requires more voltage but lesser current. The old models of the stereo usually have high impedance thus requiring high impedance headphones as well. This is the reason why high quality yet older headphones can work well with newer equipment. However, headphones that are designed to be used on modern electronics will not work very well with vintage stereos. But to experience the best sound quality, look for headphones that have an impedance of 8 or more times the output impedance of the device to be used with it. 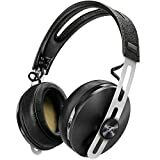 Majority of the headphones has a sensitivity that ranges between 80dB and 120dB of sound pressure level per milliwatt. If the sensitivity level is high, the amplification level will be high as well without any distortion. A high sensitivity headphone is ideal to play music on a loud level or listen to audio with a high dynamic contrast just like jazz. Optional Features – Every headphone has some optional features which surely makes it unique from the other ones out there. Certain types such as water-resistant and waterproof headphones are self-evident. The other types can affect the sound quality in subtle ways. Open Back – If the headphones are open back, it can let in some ambient noise. However, it can provide an expansive sound that allows the illusion of an open space and live music. Closed Back – This headphones feature can provide an excellent acoustic isolation and will give the impression that the music is coming from inside the head of the listener. 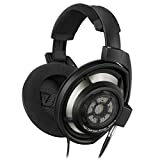 Noise Cancellation – This particular headphone will cancel out any background noise as well as any distortion that can cause poor quality or an over-amplified signal. Surround Sound – A surround sound headphone has a complex array of speakers that are designed to provide the listener an experience of being somewhere right in the middle or exactly right in front of a performing band. It may be a bit bulky in size but the listening experience is phenomenal. Wired portable audio microphones come with 3.5mm connectors. These connectors are standard for digital audio players, computers and mobile phones. But due to innovation, most portable headphones are now available in wireless technology including digital RF, infrared or Bluetooth. Purchasing between wired and wireless can make a difference especially on the movement allowed for you whenever you’re using them.